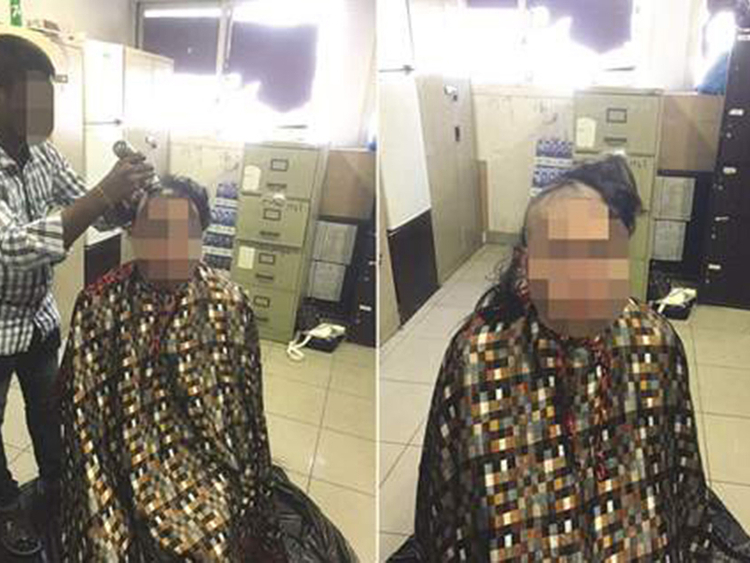 Manama: Police in Kuwait shaved the heads of three men after they were arrested for cross-dressing inside a major shopping mall. The three, two Kuwaitis and one Bahraini, were held after security guards noticed three "women" wiggling as they walked while a group of young men were following and harassing them. The unusual sight prompted them to check the identity of the "women" and discovered that they were men wearing women's clothes. The cross-dressers, in their 20s, were taken to a police station where their heads were shaved off before they were referred to the competent authorities for investigation, local daily Al Rai reported on Wednesday. Homosexuality is a social and legal offence in Kuwait, and cross-dressing is prohibited in public and media often report police swoops and court cases against those who break the rules. Lawmakers, wary of the growing number of gays in the country, have been pushing for a crackdown, including the adoption of tougher immigration measures against expatriate homosexuals and their prompt deportation. In October 2014, police in Kuwait arrested 23 cross-dressers and homosexuals after they busted a “wild party” held at a chalet in the south of the country. Investigations revealed that the party was exclusively for cross-dressers and homosexuals who faced the charges of engaging in immoral activities. In 2013, a young Kuwaiti cross-dresser was arrested after he entered a women-only lingerie shop. A female shopper, shocked by the presence of a man wearing women’s clothes and heavy makeup, told him to leave the premises, saying he had no right to be there. However, the cross-dresser objected and insisted he was entitled to be in the shop, located in the posh Salmiya area in Kuwait City. A saleswoman had to call the police to end the dispute. The cross-dresser was eventually taken by the police to the station where he was accused of cross-dressing and getting involved in a fight in a public place.